HomeIs Mother Tongue your strength? Make it theirs! Is Mother Tongue your strength? Make it theirs! 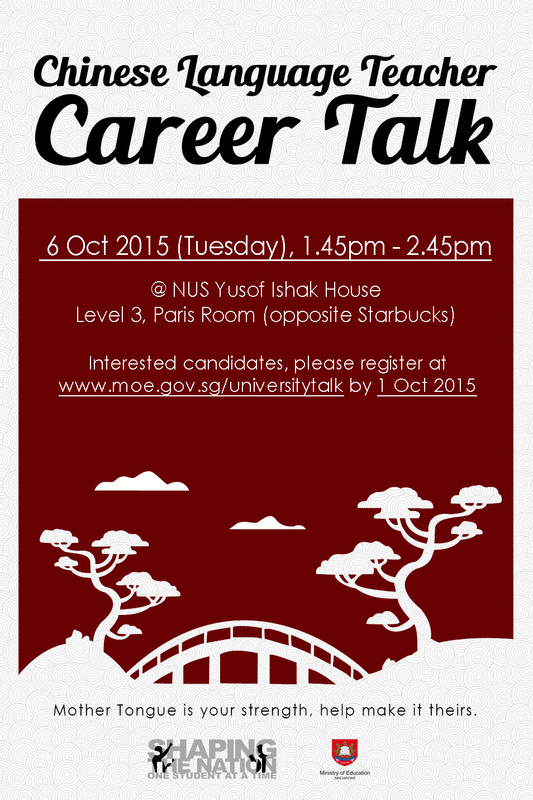 Come for Chinese Language Teacher Career Talk on 6 Oct 2015 (Tuesday), 1:45 – 2:45 pm, at NUS Yusof Ishak House, Level 3 Paris Room (opposite Starbucks). Interested? Please register at www.moe.gov.sg/universitytalk by 1 Oct.